The ability to write a winning professional website proposal is the key to getting those great paying jobs designing websites for high profile clients. Let’s face facts. If your website proposal lacks luster or the key elements included, you are out of luck. 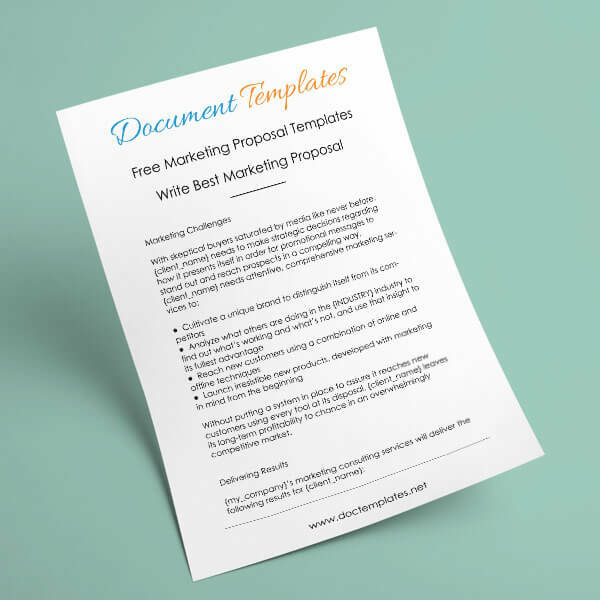 Certainly, you could write a website proposal the traditional way or use some website proposal templates. Still, it is important to understand the key elements that should be contained within the website proposal. The tone should be very professional and include elements like company name, your specialty, solutions, time frames, cost, future updates, and more. 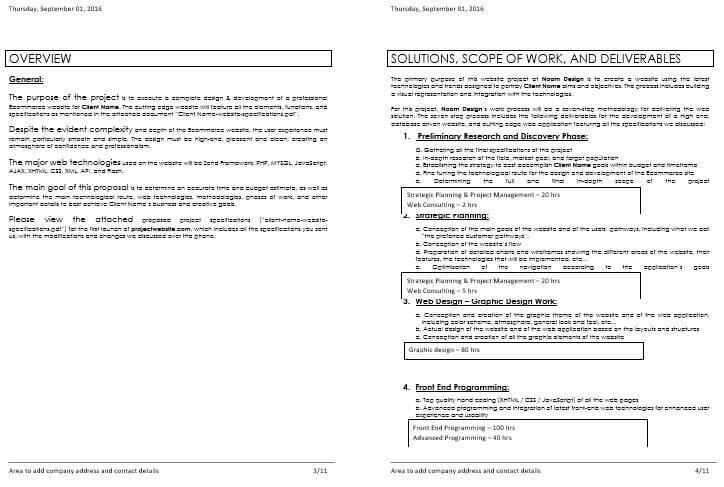 Professional Tone: One aspect that should not be overlooked is creating a professional tone for the website proposal. Some might find that it is difficult to stay on track. 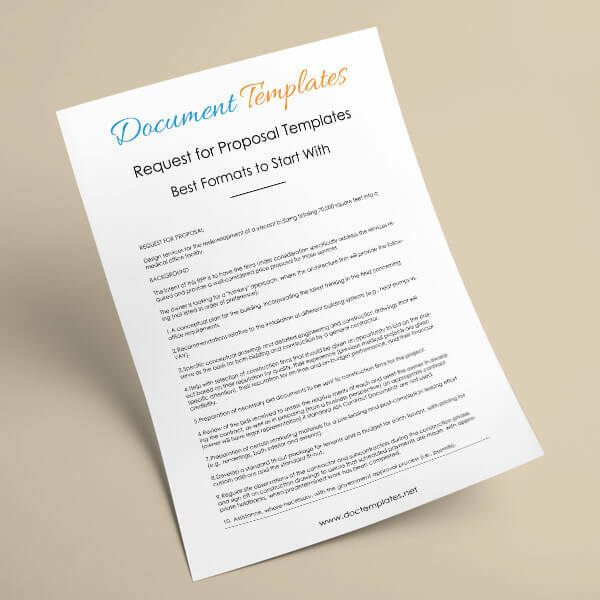 Certainly, a website proposal template would simplify the entire process. A professional tone is the way to make sure that the client knows that you are a dedicated website designer that really takes their business seriously. Demonstrate your professionalism by listing your capabilities in a capability statement along with experience. This step will let the client know exactly what you are able to do for them. Offer Solutions: The client would probably like to see in print the solutions that you’ve developed for the project. This is your time to shine and show your ability. 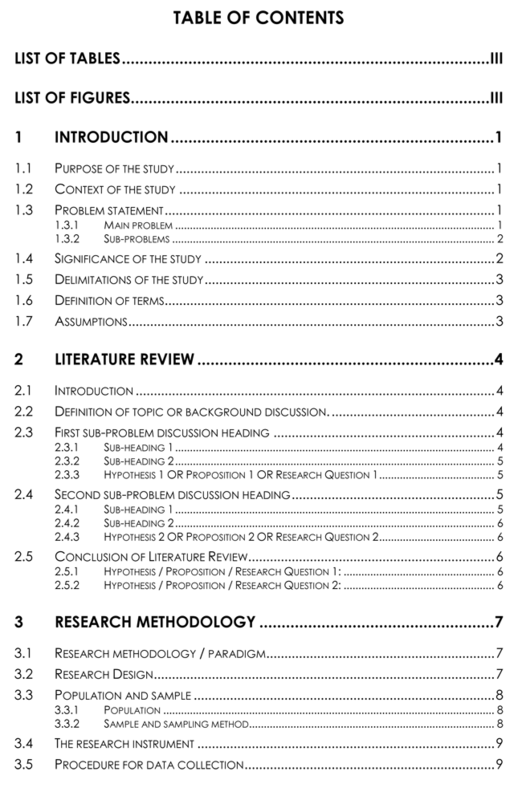 List well researched solutions to the clients’ problems. For example, perhaps the client requires a website that is mobile friendly. Show in detail, your solutions to creating a mobile friendly website design. Committed Time Frame: Don’t give really vague estimates concerning the time frame. Instead, let the client know the exact time required to complete the project. Of course, you are going to have to invest time in researching all the design elements that are involved with the project. Take into account initial design frame time, revision time, approvals, setups, and going live. Make sure that the client realizes that this is the early stage of the game and only an estimate. The time frame might change as the project develops. 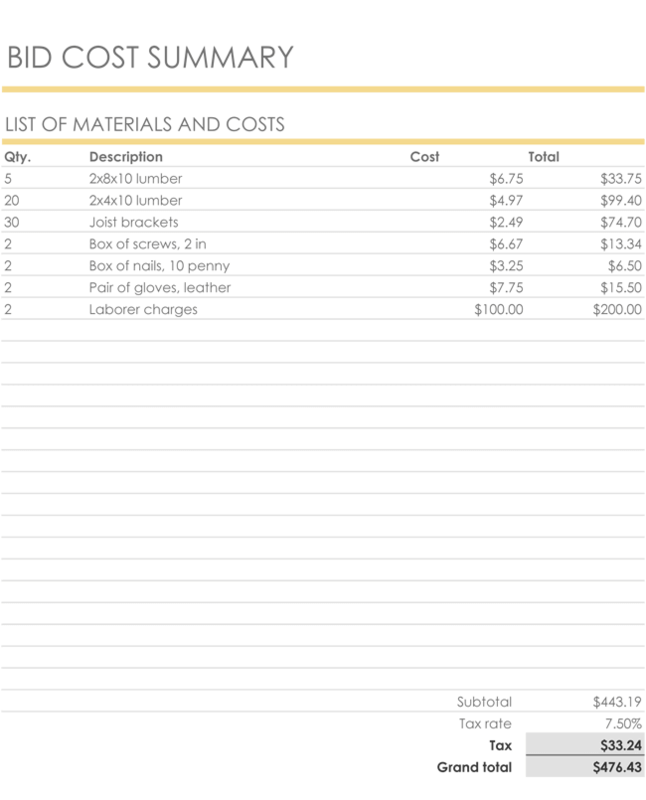 Cost: Make sure that the client is able to scan your prepared form and know where the money is going. Write this down in detail. 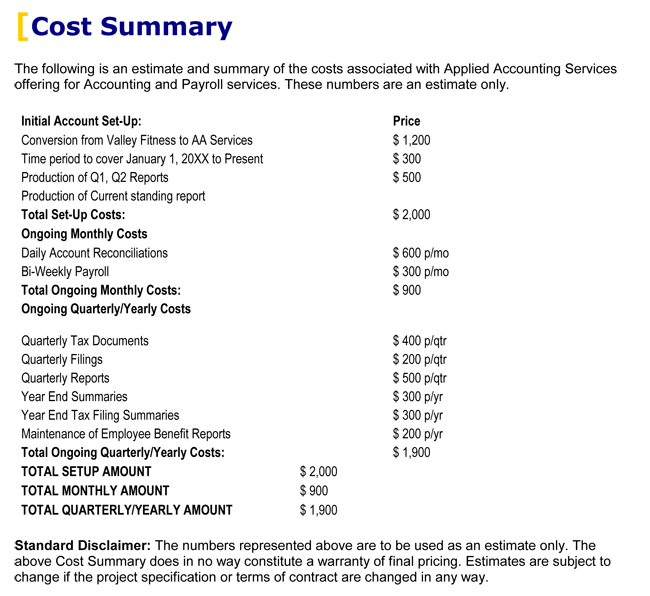 Let the client know that any extras added afterward will add more cost to the entire project. I’ve known clients that ask for a few more extras without blinking after the initial contract. later on they were shocked at the higher cost. Don’t let this type of problem arise. Let the client know the initial cost up front, along with the cost for extras. 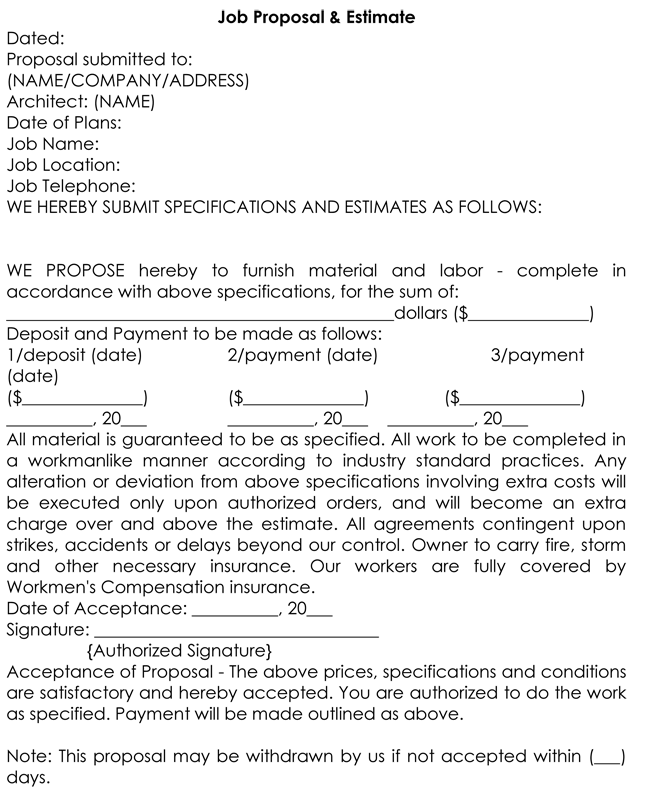 Also include an initial deposit upon signing the contract. For example, you might request 20 percent upfront or 50 percent ,up front. Some designers ask for 100 percent up front. 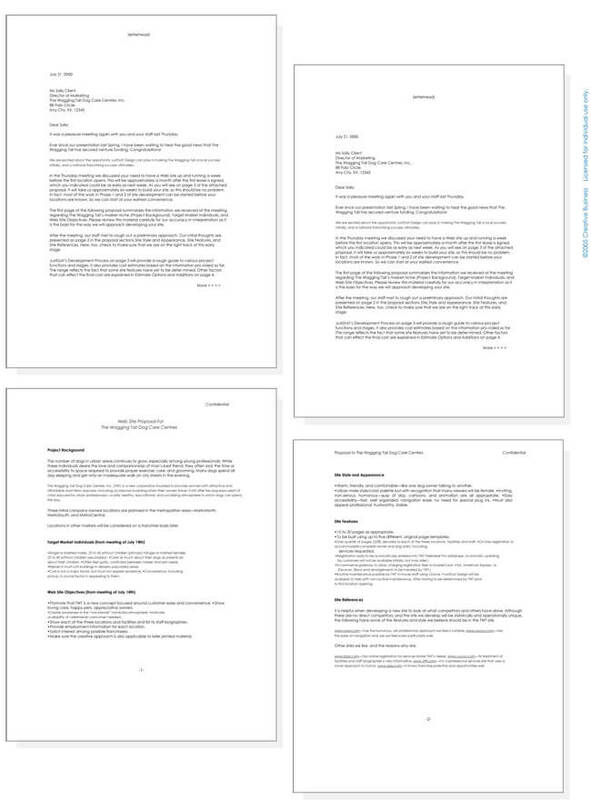 Contracts/Updates: State what you expect the client to bring to the table and what the client should expect from you. This should all be a part of the contract. Make sure both parties agree to the material in the contract before signing. 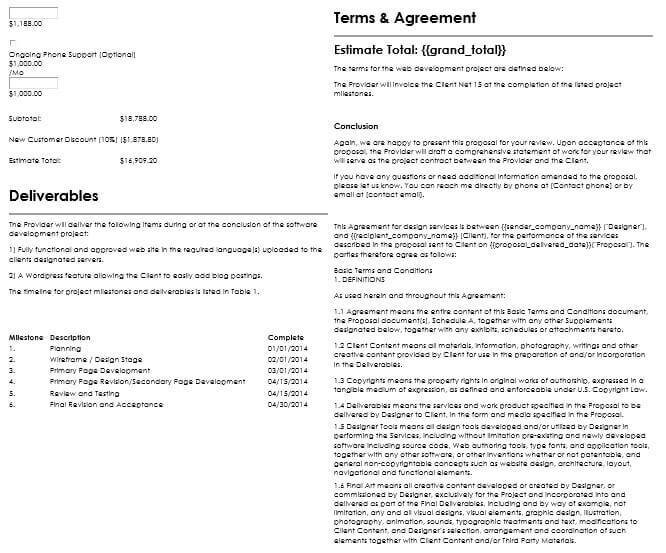 Update the contract, only if necessary. 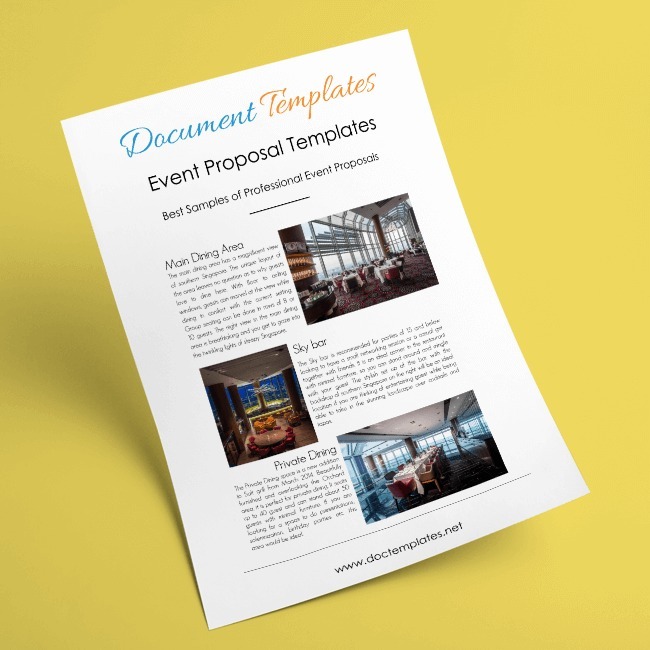 Did you know that a professional website and event proposal template will help you draft a winning proposal? Included here are 5 different samples. 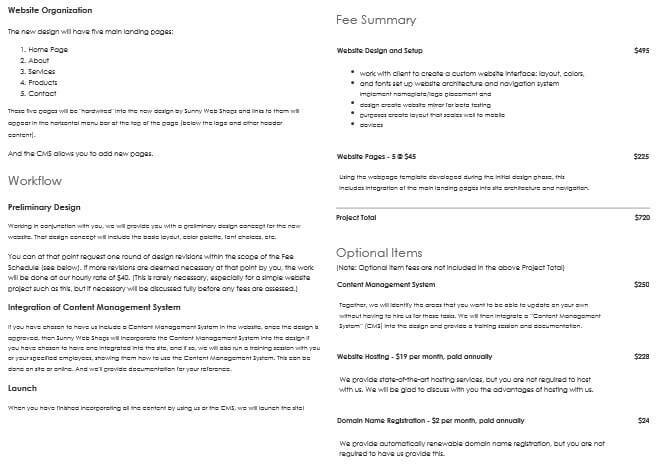 These templates are the best example of writing a professional Website Proposal.